Rampage Brown derrotou Doug Williams com um Piledriver. Chris Ridgeway derrotou Adam Chase com um Choke hold. #1 Contendership Match: Jack Sexsmith derrotou Amir Jordan, Chief Deputy Dunne, Gabriel Kidd, Primate, Saxon Huxley, Spike Trivet e William Eaver. Joseph Conners derrotou Chuck Mambo. Chris Brookes derrotou Matt Cross com um Roll up. 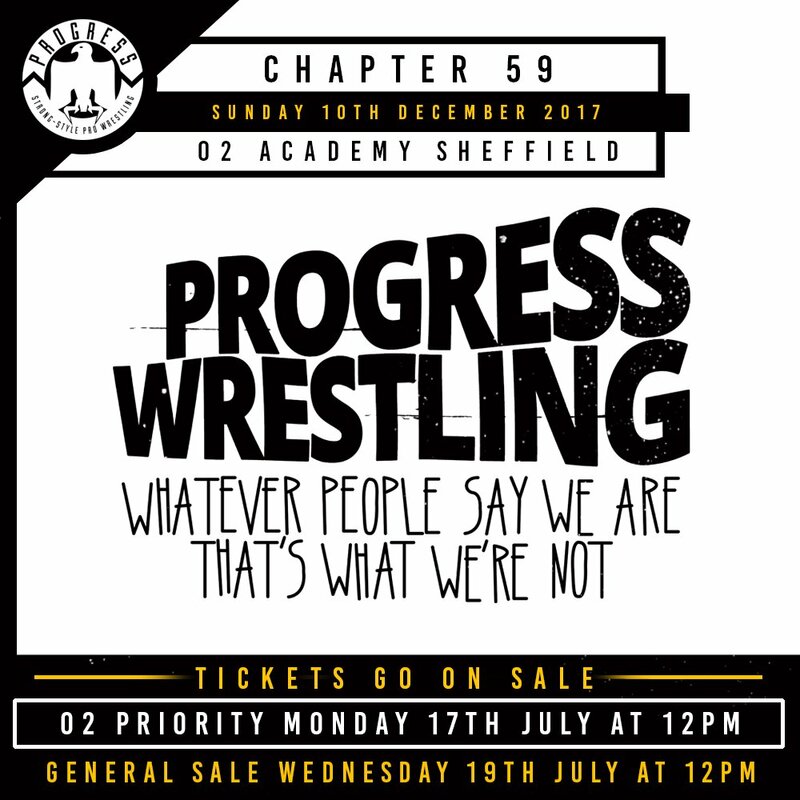 PROGRESS Tag Team Titles: Grizzled Young Veterans (James Drake & Zack Gibson) (c) derrotaram Aussie Open (Kyle Fletcher & Mark Davis) com um Helter Skelter. PROGRESS World Title: Travis Banks (c) derrotou Eddie Dennis com um Lions Clutch.